It's the most wonderful time: Ham Jam time! As you might remember, the previous theme was Fable. Welcome to Ham Jam 4! The theme this time is: Experiment. How you choose to approach the theme is entirely up to you. 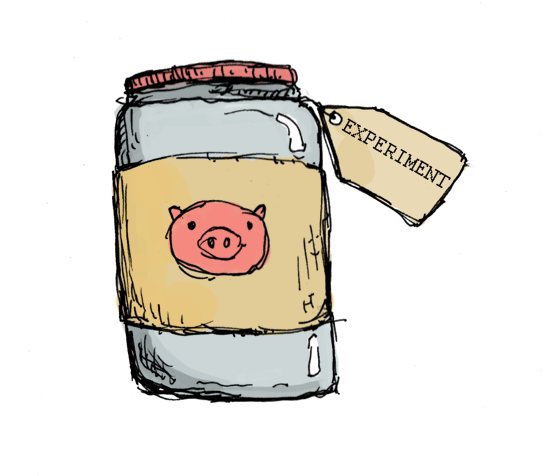 Make a game about experiments? Make a game that IS an experiment? Whatever! The jam will go for 1 week (see countdown above). Game length and quality is unimportant. I highly encourage you to make a new game to submit rather than submitting an existing project, but I won't turn away any submissions. Unless they're super-offensive or something. Rather than cluttering up the Jam description, here's a link to a bunch of resources to use, including some aimed at beginners. I've added some new audio resources since the last jam too.